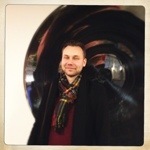 Jesper Enander today sucessfully passed the admission seminar to become a PhD student at Karolinska Institutet. His studies will be on Body Dysmorphic Disorder. Christian Rück is main supervisor and co-supervisors are Brjánn Ljótsson, Paul Lichtenstein and David Mataix-Cols.